I won't lie. I poured through AMC's hit drama Mad Men on Netflix in the matter of a few weeks when I first discovered it. There was something strangely captivating about the 1960s-era advertising world with its rampant sexism, unabashed adultery and the excitement of the creative revolution. It was addictive. However, the more compelling aspect of life on Madison Avenue for me was the rise of the women at the Sterling Cooper agency - the push back of Peggy Olson's unbridled determination and the startling strength and competence of Joan Harris. I couldn't help but be a little inspired by how these women overcame the obstacles of the male-dominated power structures that threatened to keep them down. In the riveting and oftentimes humourous book Mad Women, advertising vet Jane Maas chronicles her own experiences as a copywriter on Madison Avenue, shedding light on issues such as unequal pay, the prevalence of chauvinism, and the difficult choice women faced between motherhood and careers. Not so glamourous, after all. "Of course we didn't make the same salary as a man with the same title, even if we knew we were doing a better job. We didn't even have equal space - the guys got offices with windows; we got cubicles." It certainly came as no surprise to me that women had unequal rights back in Jane's heyday. It was, however, interesting to hear about how female copywriters weren't allowed to be placed on male accounts. Instead their opinions were only valued when it came down to developing campaigns for feminine products - hair dye, tampons, kitchen appliances. Credit cards and cars? Leave it to the guys. Women weren't even taken seriously as consumers most of the time. "That phrase was simply not in our vocabularies. Women who complained were usually ostracized. You were expected to handle things like this without making a big fuss about it." I found the depiction of sexual harassment in the workplace in the 1960s startling. Not only were women expected to tolerate it, they were even encouraged to comply if it could result in a move up the corporate ladder. There was certainly some incentive to become sexually involved with someone above your post. More importantly, there was reason not to complain even if the advancements were unwelcome. Putting your job in jeopardy just wasn't worth it. "Most working mothers were on the job seven days a week. We were professionals Monday through Friday from nine A.M. until whatever time we could get home; we were wives and mothers and housewives the rest of the time. And we were tired. We were almost always tired. It really didn't matter how much status you had at the office, or how much money you made. It was still the woman's job to make sure that the household ran smoothly, that the kids did their homework, that there was a good dinner on the table (even if she didn't cook it)." Jane does an extraordinary job of bring to the forefront the oxymoron of the "working mother" in the 1960s, and for me, this was the best aspect of her book. According to her, working mothers were looked upon with a sort of pity and disdain. Women were simply expected to stay at home and raise their children, and for those who decided to work, facing scrutiny and judgement was a given. Instead of admitting you took the day off to take care of a sick child, you lied to your boss and pretended you were the sick one. Watching your daughter's dance recital on your lunch break? Better not make it public news unless you wanted to be ridiculed and embarrassed. It was all about the catch-22. As a working mom, you were frowned upon by your colleagues for not taking your work seriously enough and punished by other women for not devoting all your time to being a mom. Jane's interviews of current day working moms are even more intriguing. Guess what? We're still struggling to do it all. The statements made are eerily similar to those made by career women in the 1960s. Even today, working moms seem to be plagued by guilt. We constantly worry if we're fulfilling all our duties and obligations as wife and mother and career woman to the best of our abilities. We're still exhausted and overwhelmed, pulled in a million different directions with a to-do list that never ends. We still seem to hate to ask our men for help and try to manage all our work and family-related tasks independently, even if it costs us our sanity and well-being in the end. Jane's quite candid about the fact that we still have a long way to go and I think she's right. 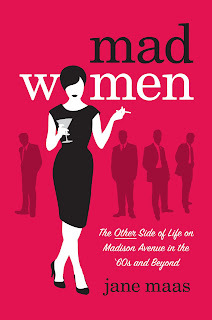 This book was a compelling account of life on the other side of Madison Avenue in the 1960s. 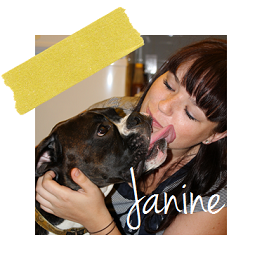 Jane's voice is thoughtful and always entertaining. If you're interested in this time period, the advertising world or working women in the 1960s, I'd highly recommend it.